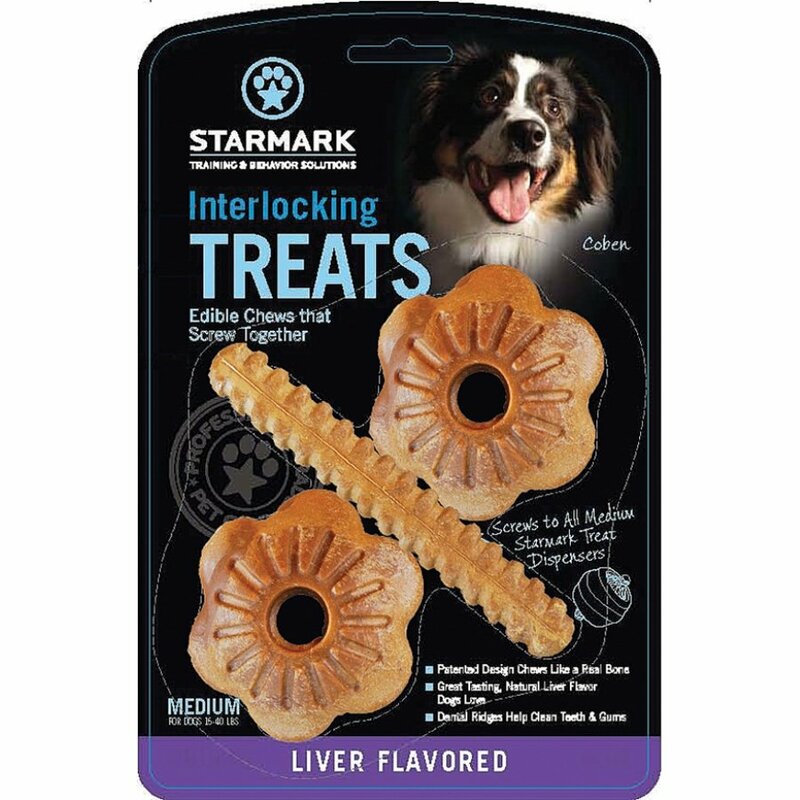 The Everlocking Treats by Starmark lock into place with the Everlasting toys to make treat time fun and challenging for your dog. The unique design is a nut and bolt design that makes treat time last for hours. Give to your pet separately or with a toy. 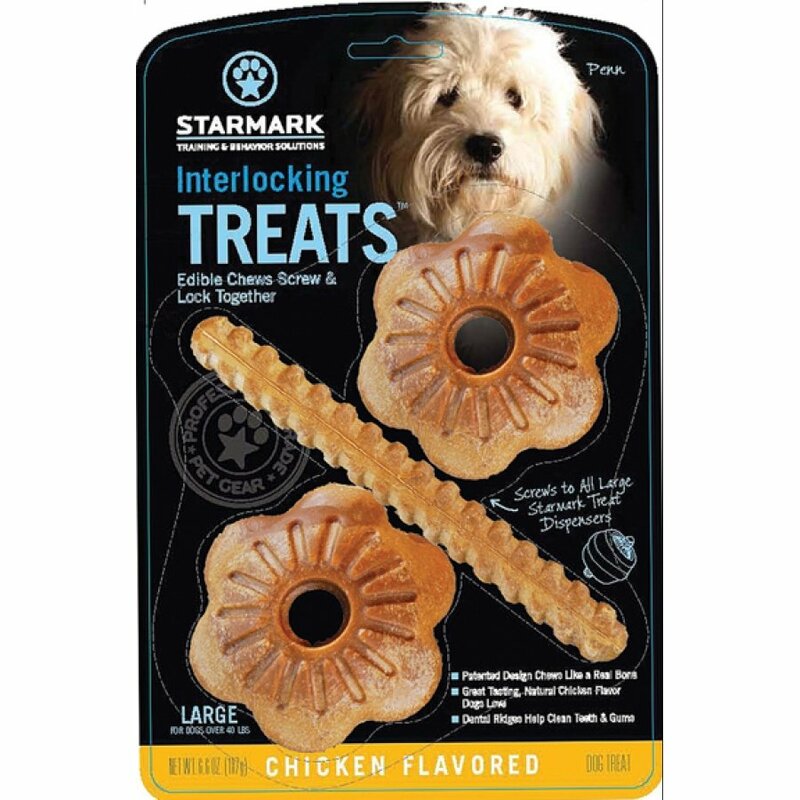 Everlocking Treats for Dogs has different options and/or variations, please choose below. 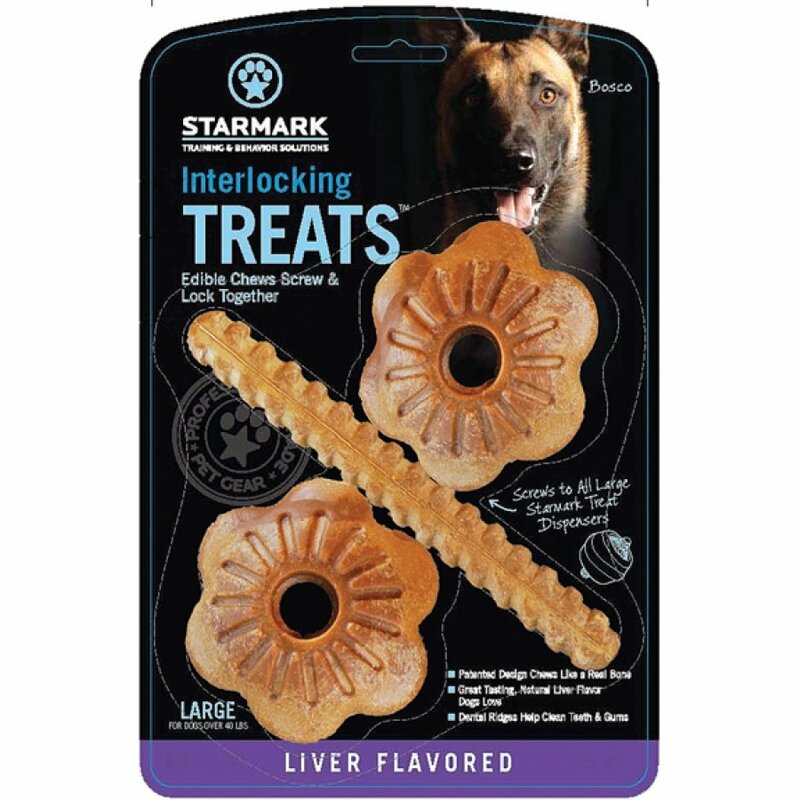 The Everlocking Treats by Starmark lock into place with the Everlasting toys to make treat time fun and challenging for your dog. The unique design is a nut and bolt design that makes treat time last for hours. Give to your pet separately or with an Everlasting toy, such as the treat ball, the beanie ball or the fire plug. Fits the coordinating size toy. Contains only natural ingredients and no plastics or polymer, which make it completely edible for your dog. 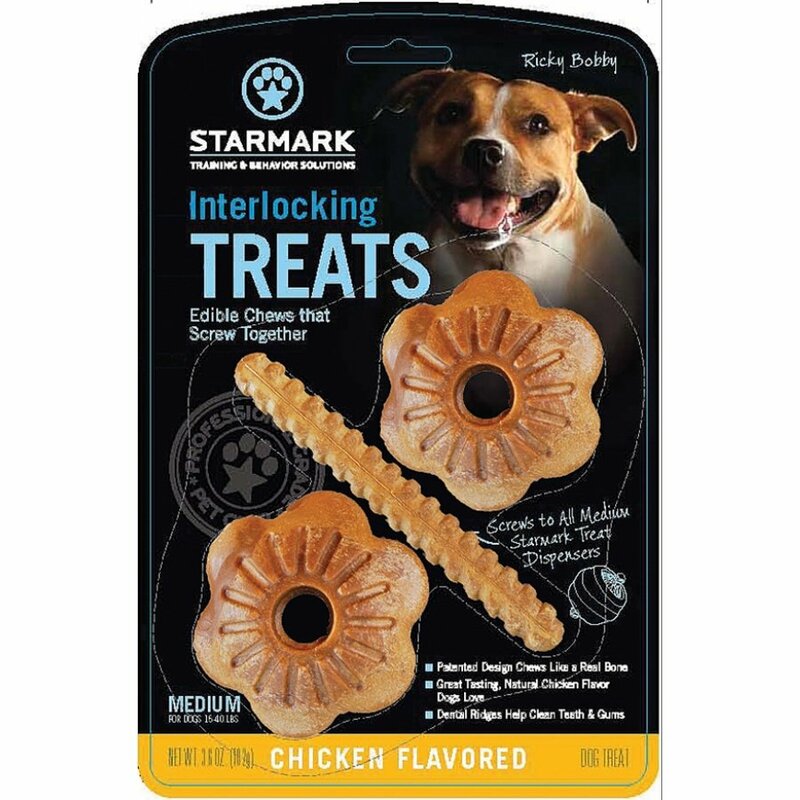 Treats have dental ridges that are great for keeping your dog's teeth clean and the mouth healthy. Available in Chicken and Liver flavors. Wheat gluten, gelatin, water, glycerin, natural flavoring, corn gluten meal, garlic powder, brewer's yeast, lecithin, sodium diacetate, vegetable gum, titanium dioxide, natural coloring. Can be used alone or with the everlasting treat ball, everlasting beanie ball or everlasting fire plug. Can be used alone or with the everlasting treat ball, everlasting bento ball or everlasting fire plug.